Left Coast Rebel: Prediction for 2012 POTUS RACE: 269 to 269 Electoral Votes? 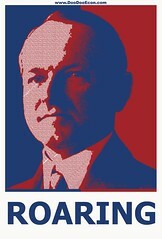 Prediction for 2012 POTUS RACE: 269 to 269 Electoral Votes? 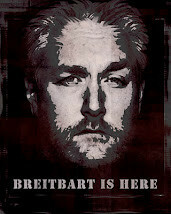 It is that time again…as hard as it is to be believed. 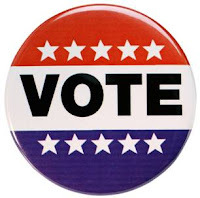 Politicians in America are announcing their intentions all over the place to run for the Republican nomination to unseat President Barack Obama in 2012. The fun never ceases to end, does it? The almost incessant American presidential elections just about make you want to adopt the parliamentary/ministerial model of Britain, doesn’t it? The Party in control gets to decide when the next election will occur, and they are over and done with in say, 3 months. Anyway, here are the states in which, if you live in them, be prepared for an onslaught of presidential campaigning and ads unlike any in our nation’s history so far. And if you don’t live in these battleground states, you can thank your lucky stars that your state is so far red or blue that you really don’t have to pay any attention to either candidate for president this time around. Total Battleground Electoral Votes for these 13 states in 2012— 162. As you can see, in 2008 all of these 13 states were carried by ‘Hope and Change’ Barack Obama over ‘Country First’ John McCain. (See? Campaign slogans do really ‘matter’). But Obama only received 160 electoral votes from these battleground states in 2008. What has happened in the meantime? 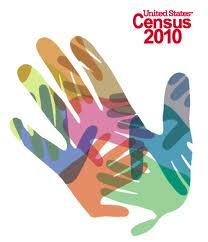 The 2010 Census was taken last year. All of the states in the Union were reviewed and reallocated congressional seats based on the net changes in population over the past decade, mostly from the old Rust Belt industrial northern states to the sunny growing climes of the South and Southwest. There's roughly a net shift of 24 electoral votes from blue states to red states overall, meaning 12 lost to Obama states and 12 picked up mostly by Republican states. Think of it like when some clown on the basketball court tries to do a superhuman, Phi Slamma Jamma dunk in a wide-open court instead of the easy backboard layup....and it clanks off the back rim and rebounds to mid-court where the guy from the other team takes it to lay it up in his basket for an easy 2 points. That is not a '2-point swing' but a '4-point swing'..the 2 your clown clanker didn't get for your team plus the 2 the other team got for being smart about it. Same as with the electoral vote switches from blue states to red states this time around. 12 seats lost by the North mostly to the South and Southwest means a net switch of 24 in reality. Heck, Texas picked up 4 congressional seats all by their Lone Star selves! 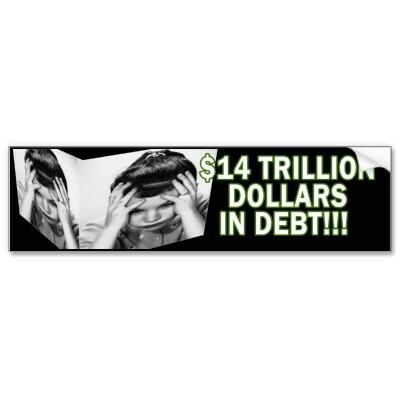 You think those votes are going to President Obama in 2012? That is an 8-vote swing right there to the GOP candidate over 2008. Then you need to add in the new redistricted seats that are supposed to be completed this year, 2011. New congressional delegation majorities can be created almost out of thin air in states such as North Carolina where Republicans have sole control of drawing new legislative districts for the first time in 140 years. Yes. 140 years. 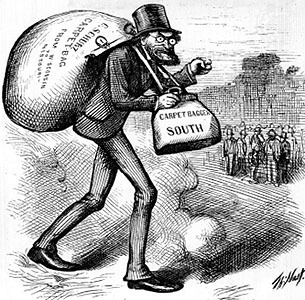 Mean old Carpetbagging Republicans from Abe Lincoln's day probably helped draw the last Republican congressional and legislative lines back in 1870. Imagine that. The Old North State could go overnight from having 6 GOP Congressional seats to 9, just like that and the majority of the state's 13 congressional seats. Because if there is a tie in the electoral college, 269-269, between Obama and his as-yet-unnamed Republican opponent, then the election of our next President goes to the newly-elected House of Representatives for the next Congress to be seated in 2013 where each state gets 1 vote to cast as a delegation. And the majority party in each delegation almost assuredly would force the vote for the nominee from their side of the aisle and not the other, doncha think? What does this mean for President Obama? It means he is going to have a relatively ‘tougher’ time selling what he wants to sell to what historically have been more conservative-leaning Southern and Southwestern states in the Union. True, Colorado and New Mexico are not the 'shoot-'em-up!' 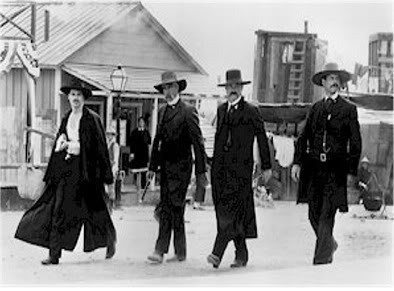 Western cowboy states people used to think were dominated by John Wayne and Wyatt Earp. Many Southern/Southwest states are more ‘purple-red’ now but not azure blue politically like New York and California. So, how many of these states in 2012 have to turn against President Obama in order for him to lose his re-election bid? Not many. Maybe half of them. 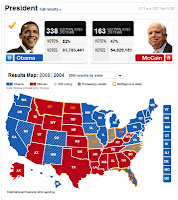 Obama pounded McCain by an electoral margin of 365-173 in 2008. That is a difference of 192 electoral votes. That sounds like a lot, doesn’t it? Obama also crushed McCain by a popular vote margin of 69.4 million to just under 60 million. That’s a lot of popular votes, highest in history. But popular vote count doesn’t matter in US presidential elections, as we have seen from at least 3 elections where the winner did not get the majority of popular votes cast. 1876, 1888 and 2000 were the 3 elections in case you are interested. We suppose you remember The Thrilla in Palm Beach County, Gore vs.Bush 43. In one celebrated case, there was an electoral college tie, in 1800, between good old Thomas Jefferson and his supposed running mate Aaron Burr. Since the rules were not completely thought-out well enough then, they both got the same number of electoral votes and it went to the House of Representatives to be decided state-by-state. The 12th Amendment fixed that little problem our Founders, as brilliant as they were, completely swung and whiffed on. All the GOP candidate has to do in 2012 is turn a measly 97 electoral votes from the list above that Obama won in 2008 into the GOP column and he gets the 270 votes necessary to become POTUS in 2013. There are 15 votes in NC that historically have been in the Republican column since 1976. 13 more in Virginia, now with a GOP Governor to help organize the state for the GOP candidate. Florida’s 29 votes should lean Republican if it reverts back to the mean of voting Republican over time. There is 57 votes right there in 3 states. Ohio is now headed up by an old friend of ours from House Budget Committee days, Governor John Kasich so those 18 votes could swing to the new GOP President if Kasich has a strong organization and following in the state. The total is now up to 75 of the 97 needed to win. Mitch Daniels is still the GOP Governor of Indiana, even though he decided he loved his family more than running for President in 2012. He should be able to get those 11 Indiana electoral votes into the GOP column. Now we are at 86 votes and counting. If Pennsylvania goes Republican, there is almost no way Obama can win re-election under any scenario. But New Hampshire’s 4; Nevada’s 6; Iowa’s 6 and New Mexico’s 5 electoral votes are going to be crucial to either candidate. Any combination of Iowa/Nevada plus New Mexico can get the GOP candidate up to over the net swing of 97 electoral necessary to become the nation’s 45th President. 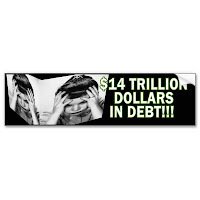 Still, it seems to be President Obama’s election to lose at this point, notwithstanding the terrible unemployment figures that came out this week; $5/gallon gas at the pump and no action at all dealing with our #1 national problem, this exploding and increasingly unmanageable national debt. He does get major credit for having Osama Bin Laden killed under his watch though…you gotta hand him that. 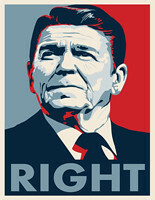 Ain’t American presidential politics grand? It is never really 'over' because there is so much at stake each time around. The 2012 POTUS election has all of these tectonic plates shifting underneath in terms of the census and redistricting that this one could be the most interesting of all of them. Get ready for lots of chads and dead people voting. It could be a tight one. Like 269-269. And then we'll just have to wait and see who controls the House in Congress after Election Night, 2012.